Overview of new & used inventory in stock at Orlando’s One Fat Frog Restaurant Equipment- Stop in for current availability- we receive truckloads of new & used equipment daily. While our specialty is startup restaurant, bars, pizzerias and bakeries, The Frog also wholesales to other dealers (must provide Florida resale certificate), exports & ships nationally & internationally. Per the Frog, all equipment must be installed by manufacturer’s specifications and by a licensed installer. See below the contact form for other inventory we may have in stock. 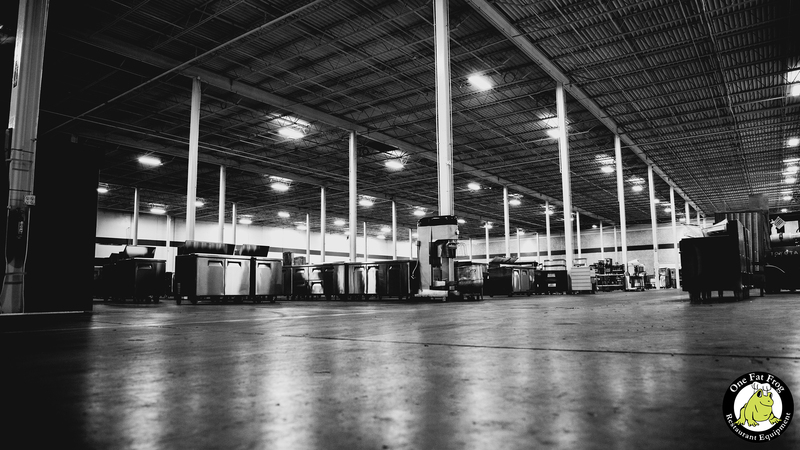 At 100,000 square feet with inventory coming daily, this page reflects a rough overview of equipment available. We also have extensive new offerings. Cash & carry new / used equipment on the floor. Multiple pieces may be available. This is a select inventory. WALK-IN COOLERS & FREEZERS: Don’t see the size you need? Contact the Frog, we provide custom NEW walk in coolers. Mortuary and Morgue coolers also available! Need freezer or refrigerator? We can also do used panels and new refrigeration! All walk ins also qualify for free delivery routes and finance! New at used prices due to our wholesale truckload purchasing. We combine and take advantage of volume purchasing to pass the savings to you. This is where our volume discount comes in- we buy in volume & pass the savings to you! 30″, 48″, 60″, 72″ and more! extensive floor samples of outdoor furniture for beachside, covered or open patio- from funky to contemporary to classic! If you are looking for a specific piece of equipment, please fill out the form below. Yes, this is for a restaurant. Yes, this is for a food truck. Yes, this is for a convenience store, grocery store, or supermarket. Yes, this is for a building with a commercial kitchen area but it is not a restaurant. Yes, this is for a commercial building but does not have a kitchen area however it is for a commercial use such as a doctor's office, laboratory, gym, and other relevant purpose.